Inspired and intrigued by Eastern Culture and philosophy, Amy began her yoga journey in her early twenties. She attended yoga classes at local gyms and developed a personal practice. After her son Micah was born, she was busy working and taking college courses so her practice became intermittent. In 2014, she resumed practice at home, and incorporated a weekly Iyengar class at Yoga on Helm. In the following months, Amy began the 9 month program at Ntouch School of Yoga and Wellness, in which she was 200 hr. Yoga Alliance certified in March, 2016. Amy makes it a goal to attend workshops regularly and has studied under Master Iyengar Instructor, Francois Raoult and Master Sivananda Instructor, Robert Moses. Amy loves spending time with her husband Jason, her son Micah and their three cats. She enjoys camping, hiking, fishing, reading & photography. Amy’s love of yoga took root at an early stage in her life and has enhanced her present journey to one that is deeper, internal and more enlightening. 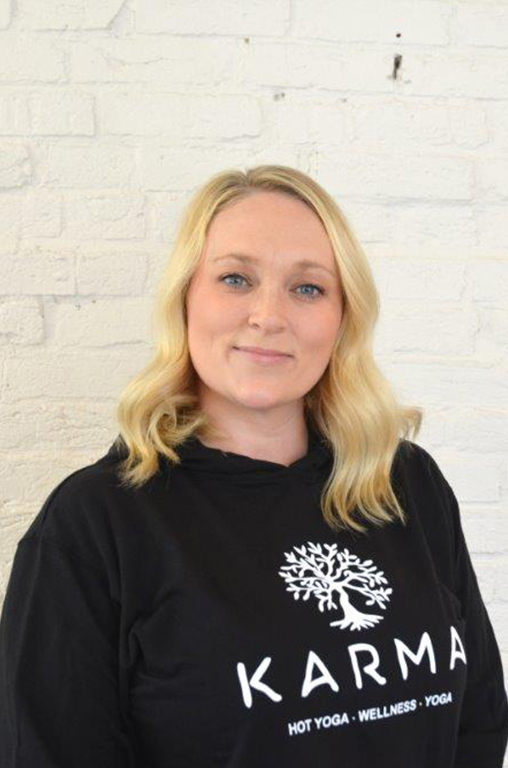 Amy looks forward to helping others experience an overall sense of well-being; a genuine mind, body and spirit connection. “The rhythm of the body, the melody of the mind and the harmony of the soul create the symphony of life." B.K.S. Iyengar.